Whether I was fishing the latest must-have Japanese rockfishing tecnique, or just posh float fishing, I don't know. But I really enjoyed fishing a small estuary system yesterday with the hope of a flounder or mullet. 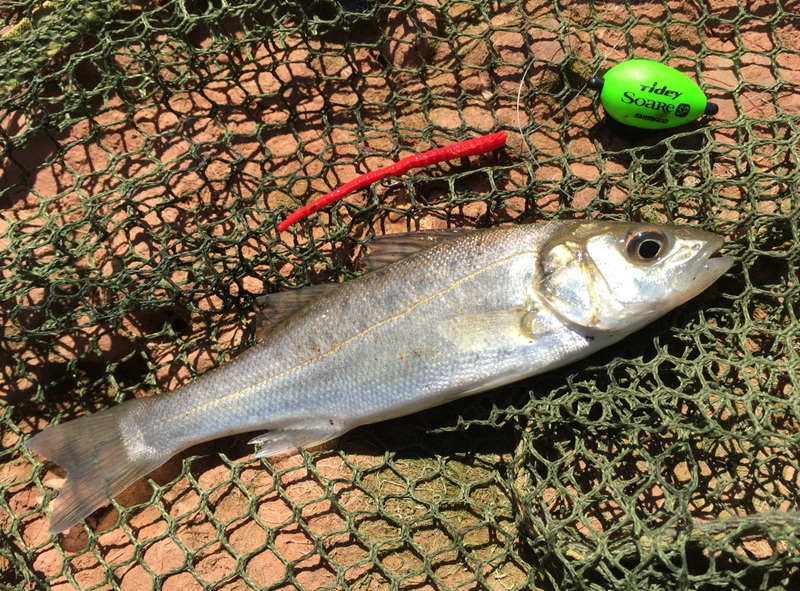 Instead this little bass obliged. I'd like to try it again. The Shimano Soare Tidey is a controller, similar to how you fish Caro. They are available in sinking, floating or suspending models and allow the rockfisher to achieve longer distances with tiny artificial lures. The design is pretty ingenious as the Tidey can be fitted securely to your line without having to retie, meaning it can be added to existing rigs in an instant.